San Francisco’s Golden Gates have opened for those interested in running their cannabis business in the City and County of San Francisco. Although the San Francisco Office of Cannabis is currently accepting applications, not everyone is welcomed to apply just yet. Currently, the San Francisco Office of Cannabis is accepting applications only for applicants who are applying through the Equity Program or as an Equity Incubator. Those who do not meet the criteria to apply under the Equity Program or as an Equity Incubator, will need to wait to apply after the San Francisco Office of Cannabis opens applications, which they expect will open before 2019. 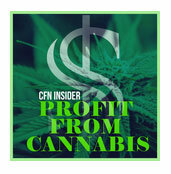 An individual with a membership interest in a cannabis business formed as a cooperative. Have lived in San Francisco census tracts for a total of 5 years from 1971 to 2016 where at least 17% of the households had incomes at or below the federal poverty level. To determine whether you satisfy this condition, please click here to see a map showing areas of significant poverty in San Francisco. Those who satisfy the criteria to be an Equity Applicant will not have to pay the $5,000 permit fee for this year. However, equity applicants will have to pay for renewals. Equity Incubators will also provide Equity Applicants with rent free space for 3 years or technical assistance to help Equity Applicants run their business. Once the Equity Applicant has satisfied the eligibility criteria, the San Francisco Office of Cannabis will help equity applicants partner with an equity incubator business. The Office of Cannabis will send a list of verified equity applicants, which will help equity applicants and incubator businesses find one another. To find out more about the Equity Incubator program, click here. 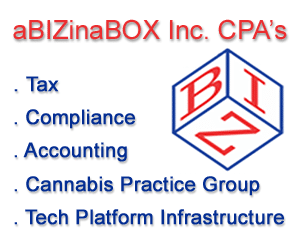 Microbusiness (can conduct up to 4 activities: cultivation (less than 10,000 sq. ft.), manufacturing (non-volatile only), distribution, and retail. More information about the application process and requirements can be found on the San Francisco Office of Cannabis website.